We all need good tools to build a great marriage. 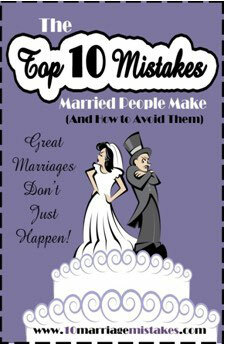 "The Top 10 Mistakes Married People Make" is a teaching series focused on helping you avoid detours on the road to a healthy, happy marriage. Comeout each week to learn important information that will help you to strengthen or save the marriage you already have or prepare you for one that may be in your future. This keys off of taking one another for granted and not continuing the things you did before marriage after you say I do. The longer we stay married the better it gets-- when Christ is center.